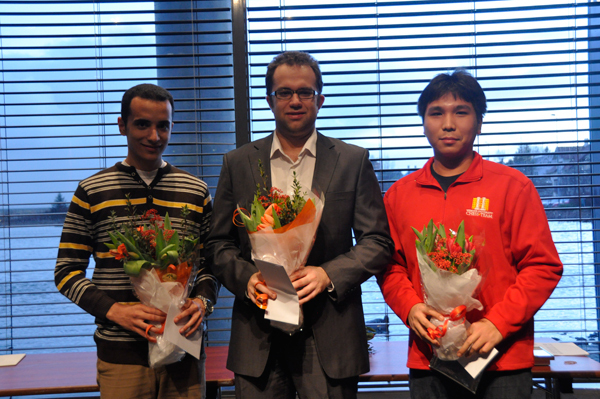 Yesterday we had the closing ceremony of the N1 Reykjavik Open. Óttarr Proppé of the city council welcomed guests to the ceremony and said the city was delighted with the tournament proceedings. 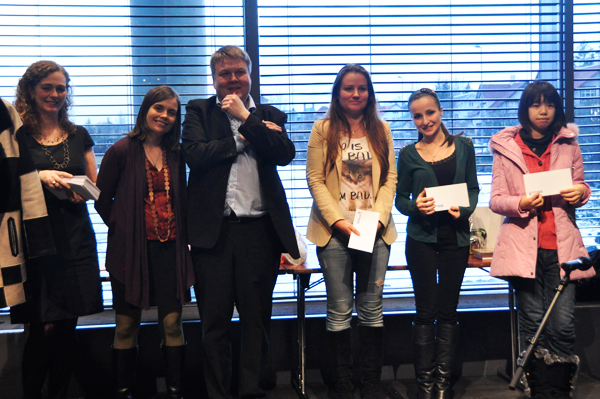 Agreeing with him was minister of Education and Culture, Katrín Jakobsdóttir who gave away the prizes along with the members of the Icelandic Chess Federation. Gunnar Björnsson president of the ICF then closed the ceremony and proclaimed that he was looking very much forward to next years edition which is the 50 year anniversary of the Reykjavik Open. Prizes were split according to the Hort-system with the highest Bucholz receiving more money. Five female players also had 6 points but were behind on Bucholz. Jón Þór Bergþórsson 6 v.
Magnús Pálmi Örnólfsson, Kjartan Maack and Gylfi Þórhallsson also had 5,5 points. Jón Kristinn Þorgeirsson 6 v.